In my post on TempLS for December, I noted that it fell by 0.17°C from November, almost exactly cancelling the previous month's rise. GISS followed almost exactly the same sequence, down from 0.78°C to 0.6°C, having been 0.61°C in October. LINE_STRIP - a long list of vertices which will be connected in sequence (can be broken with NaN). I've given the WebGL names (LINES etc). The last three are just ways of reducing repetition of vertices. I stick to POINTS, TRIANGLES and LINE_STRIP. The native style of WebGL input is as a flat array, so eg TRIANGLES would have for each triangle the first 3 coords, then the second, then the third, and then the next tri. But the scheme here also allows you to point to a list. RGB colors (range 0-1) are similar but again here there is the option of a palette and pointers. The first and last lines are in every file; they define a function. The argument p is an array of objects. In JS if you assign an array or object to a variable, the variable is a pointer, not a copy. So the two objects we want are renamed (locally). .type : You should always set this to one if the types listed above. Default is POINTS. .nodes : Every object will need a list of nodes, in 3D unit sphere coords, or by lat/lon in degrees. I've used both types here. In either case, the numbers provided are a flat list of the coordinates in node by node sequence. See next for usage. .links : Without a .links, the nodes are used in the order supplied. .links is a list of integers, starting at 0, which makes a new vertex vector selected from the nodes list. Nodes can be used several times, or not at all. .palette : This is the specification of RGB colors, range 0-1. Like nodes, the triples are listed in a long sequence. There is an analogous sequence of pointers (.cols, see next), but here it is obligatory, unless the palette has only one color, in which case it is applied uniformly. .cols : A sequence of vertex colors, being integer pointers into the palette. There should be one entry corresponding to each node in .nodes. In GL triangles, the node colors are used to give shading by interpolation. If you want color discontinuity, you can enter the same point more than once into .nodes, and give it different colors. .size : Used with POINTS objects to set the size, in pixels. No effect on other types. .tags : There is a facility whereby left clicking on the globe locates the nearest node of a POINTS object with this property. The tag is printed top left. So .tags is an array of HTML strings (quotes, commas), one for each entry in the .nodes of that object (no need for .links). .scale : This allows you to attach a color scale to a shaded plot. It is a vector of labels (strings or numbers, they can be mixed). A color bar will be placed bottom right showing the range in the palette, and the labels will be placed at equal intervals. You need at least two - one for top and one for bottom. It only makes sense to provide this property for one object. POINTS are drawn with size defined in pixels by ,size (default 3). Lines are drawn width 1 (no choice), in segments approximating a great circle. Triangles are drawn plane, with shading. There is a pale blue disc (object 0, built-in) which separates the seen hemisphere from the unseen. It means you don't see points and lines from the other side. Update - I've made a change to the file arrangements here. There are now 2 files Moygl.html and Moygl.js. The html file is short and ends with the call to the data file and to Moygl.js. It's that data file call where you insert your own address. </script> octa.js is the above data file. You can replace with your file given by relative addressing, or an absolute URL.Then you just paste Moygl.html into your own HTML, and display in a browser. Moygl includes a HTML table structure that you can modify. The sphere that appears is a trackball. You can rotate it with the left mouse button, or zoom with the right (up is bigger). As said about, if there is a .tags, clicking will show the nearest tag top right. Free rotation is a mixed blessing; it takes a while to sort out messed up orientation. Clicking the orient button, top right, rotates the visible hemisphere till N is up at the centre. It shows how the lines forming the cube are almost great circle segments, while the triangles are plane. This is less problematic for real shading applications where the triangles will be much smaller. Here is an example showing more features. It is derived from the recent "Just 60" post, which uses a triangle mesh to cover the Earth and derived a station-centred tessellation. Since this is just a graphics illustration, I have started using all GHCN land stations with 50 years data and refined to get reasonably uniform coverage. The points reprsent the stations, the lines the area subdivision, and the shading is by latitude. I chose this to show the merits and deficiencies of the shading for a known variable - I think it is quite good for a coarse mesh. But effects are visible especially where big triangles are at the edge of the disc. Extra features included are tags - you can click for station names - and the color key. I'll show below how the data file looks. The complete Moygl HTML/JS code and example data files are on this zipfile. Dynamic tracking. You can drag the sphere plot to any orientation and magnification, as with Google Earth. I had said that I would say something about my experience with WebGL. I have been writing a generic program to do a world plot from input data files, which I hope to blog about. Here I will describe just what are the essentials of writing a WebGL program for these relatively simple circumstances. Script tags can link to an external source. JS can modify the original page; after it has appeared, it goes into listening mode, driven by events like mouse clicks. When developing a JS program, I usually place it in a file with minimal html, and show it in Firefox, with the free Firebug debugger add-on engaged. Then I can step through the code with all variables displayed in object hierarchy style. The JS program you write is downloaded and run on other peoples' computers, so there are security limitations. All code and data has to be readable by the user. You can't access file spaces, or even other windows - this can be a nuisance when embedding frames. HTML 5 introduced new drawing facilities, particularly SVG and the canvas. A canvas is a HTML element, specifying an area of screen, and with a context offering JS functions etc that allow you to control drawing in the space. 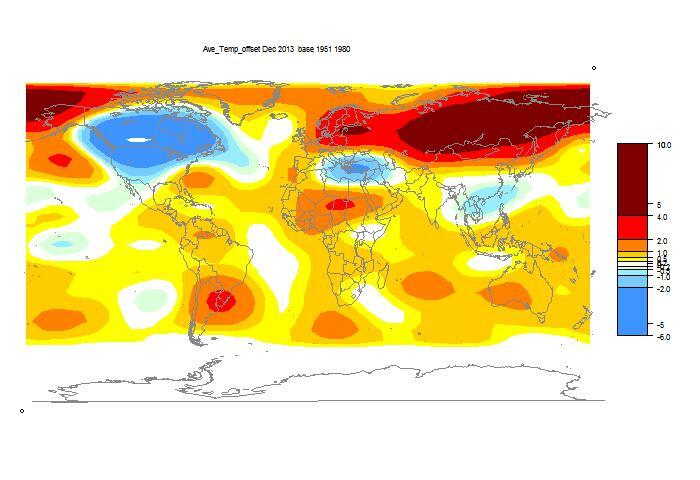 The common context is "2d", which I used extensively in the climate plotter. "webgl" is an alternative context, now offerred by most browsers. As said above, WebGL is based on OpenGL, which is in turn derived from the Silicon Graphics Iris GL of the 1990's. That was considered 3D graphics, but as Greggman maintains, WebGL is also a 2d context. It is capable of very rapidly implementing the 3D geometry transforms, but you have to write them. However, it supports the OpenGL ES shading language which makes this easy. You need to create a master object called a program. 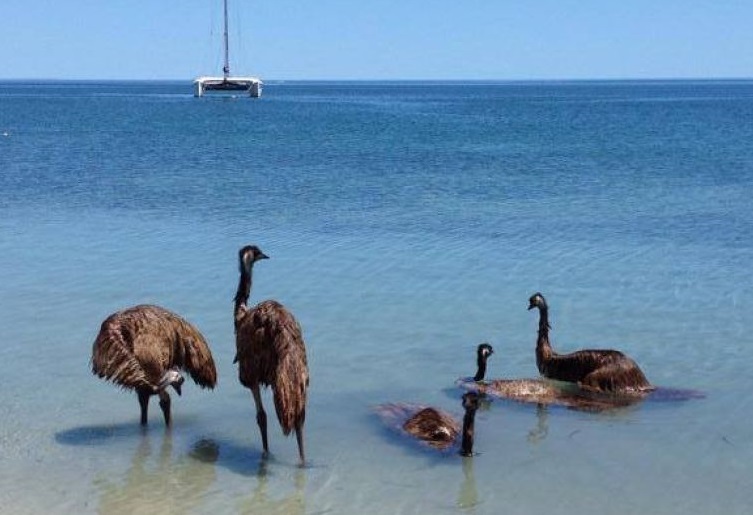 There can be several. To each you need to attach a vertex and a fragment shader. These are the little programs written in OpenGL ES that will be passed to the GPU. I usually write them (with JS help) as strings, which are compiled and attached. The vertex shader typically specifies a 3D transform to the original vertex data, expressing user-induced motions. You may also link color information to the vertices. The fragment shader tells what to do between vertices; it may reduce to just a color specification. Much of the rest of the program is concerned with putting the geometry data in buffers for GPU access, and connecting the names to the names in the shaders. When that is all done, you give a draw command - I use DrawArrays. At this stage you specify a shape (for which the buffers were designed). Options are POINTS, LINES, TRIANGLES, LINE_STRIP, TRIANGLE_STRIP, LINE_LOOP and TRIANGLE_FAN. In the first three, you just specify each item with all coordinates in full. That's bulky, so the remaining are ways of writing larger structures mitigating writing out the same coords several times. The shapes then appear (you can flush). WebGL also has provision for perspective, lighting, texture etc, which go into the shaders. For presenting numerical plots, as I do, these aren't needed. I linked above a minimal program. It doesn't do much, but shows the basic requirements. Applications and a generic program. At the start of this post I linked some Moyhu WebGL programs. The common theme is the display with points, lines or shading, of data on a spherical Earth that can be rotated or zoomed. I've written a program which formalises this, with data supplied in standard JS structures. I'll post about this soon. 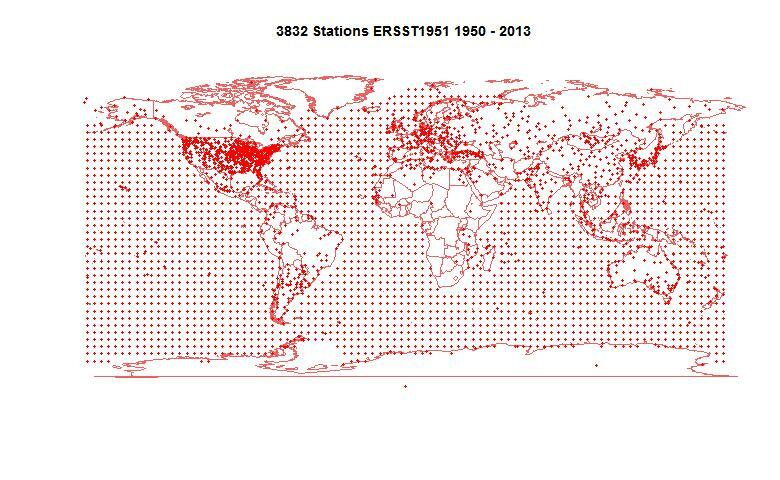 Just 60 global stations - area weighting shown with GL graphics. 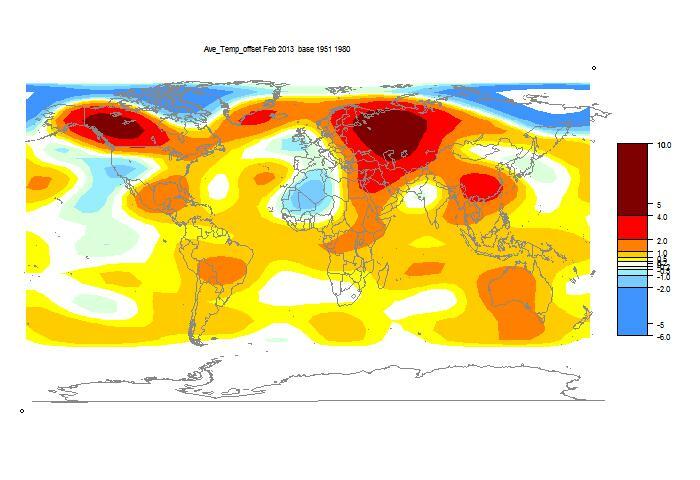 Twice before I've written about using just 60 met stations to estimate the Earth's global temperature anomaly. The first time I simply chose 61 stations according to "quality" criteria (rural, 90 years records). The resulting average was quite close to HADCRUt land only and the GISS met stations index. This was somewhat surprising, because the stations were in effect not area-weighted, but sin(latitude) weighted. Then I wrote about trying to get proper area weighting using triangular meshing. In doing that, I used sequential meshes to try to get more even distribution. That post came just before my recent interest in better graphics, and I could not then present the mesh results properly. I can now. The temperature analysis there still stands, and is not developed in this post, but hopefully soon. It is worth reviewing the motivation. The first post was a response to a challenge by Eric Santer, who thought that 60 stations should be enough for a good global average. I thought so too, but there is more to it. I'm in fact doing a version of the GISS Met stations only index, which is different from land-only in that the stations are weighted by global surface area, so ocean areas are represented by land stations. Compared with land/ocean, which uses SST, this has the plus that it measures the same thing everywhere (air temp 1.5 m above surface), and the met stations have a rich and explicit history. The minus is that the data for ocean areas is far sparser than SST. When a large area (oceans) is sparsely covered, there is little benefit to the average in having part of the land area densely covered. It makes sense to select a subset of stations, trading density for quality. If the subset can be reduced to 60, say, then the individual stations can be more closely scrutinised. "Quality" here is a combination of long records and apparent freedom from biases like UHI (rural stations). We want stations of quality that are also fairly evenly distributed - ie have approx equal area weighting. This post does that by compromising initially on quality to get a larger subset, and then in several steps remeshing, eliminating stations of least weight. This is shown by a display of the area attributed to each station at each stage of reduction. The display is in WebGL, which means you can rotate the Earth track-ball style. It also shows a histogram of weights, and lets you click to see the station names. Initially, 622 stations are shown. These are GHCN stations classified rural, with at least 50 years of record continuing to at least 2010. Then at each of six stages, the bottom third of area weighted stations are removed, and the remainder remeshed. The radio buttons show the result. The area assigned to each station is formed by connecting the circumcentres of each of the mesh triangles. Each area is the set of points where that station is the nearest node. See below for some details here. The plot shows the area and the station with a purple triangle. You can click near this to show the station name top left. Bottom right is a histogram of the area weights. Update - there is a glitch. There are two plots below, and only one can be active (for trackball etc) at a time. That is determined by which was last selected (by radio button). The circumcentres are not exactly the plane centres, because they are projected onto the sphere. The lines are made of two sections, with the midpoint apso projected onto the sphere. This makes them a little more like great circles. In fact the weight is not quite area. It is for each triangle the volume of the tetrahedron formed by the triangle and earth centre. This is area (triangle) times height, which is very close to the earth radius. You might expect the areas under the histograms to be much the same, while they seem to increase with subdivision. The reason is that the y-axis varies, but I wanted to keep the same plot size and the same x-axis. Clicking to show station names only works for the plot where you last clicked a radio button. A merit of this approach is that a small change can generate a substantially different mesh. So one can test how much the average depends on the specific mesh. That's the next project. In the plot below, I specify a higher quality spec (70 years of data). That means fewer stages of subdivision, so the penalty is less even weighting. The initial disparity is such that the subdivision only affects part of the Earth, as you can see.